TIMed is one of the five incubators empanelled by KTU to provide the KTU-Minor in Entrepreneurship Program. It is targeted towards students interested in entrepreneurial activities. Interested students of Semester 4 can opt for this by earning additional 12 credits through 3 or 4 courses. 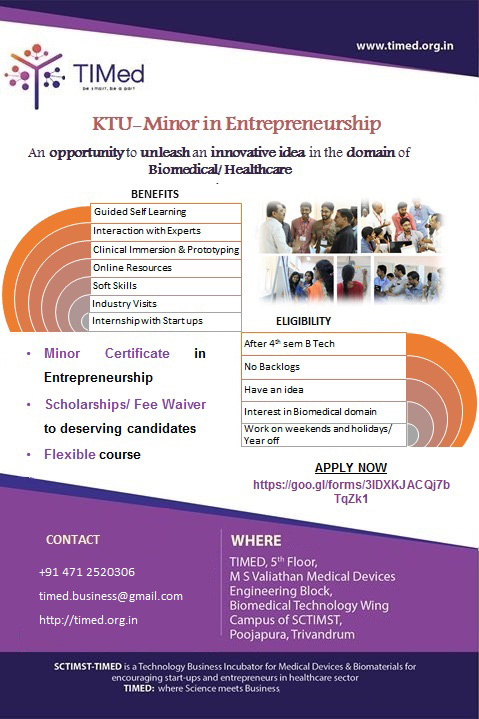 On successful completion KTU will give the Certificate for the Minor in Entrepreneurship together with the B.Tech degree Certificate.